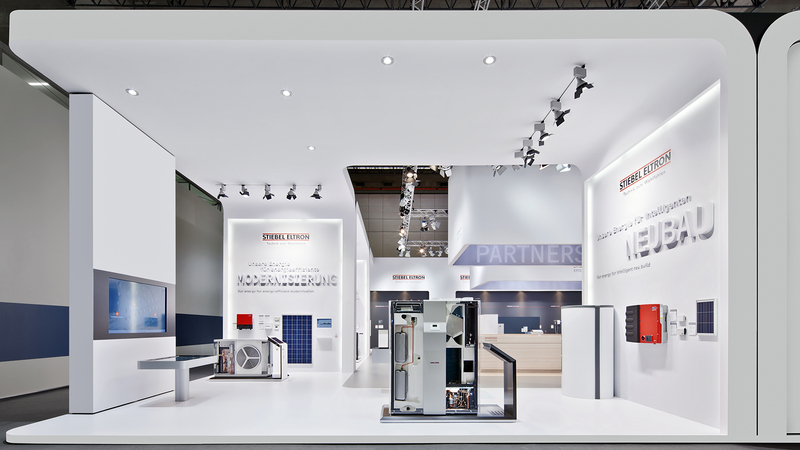 Stiebel Eltron has a sensational appearance with its fair stand, its interactively experienceable innovations and thus affirms its reputation as a technology and market leader. 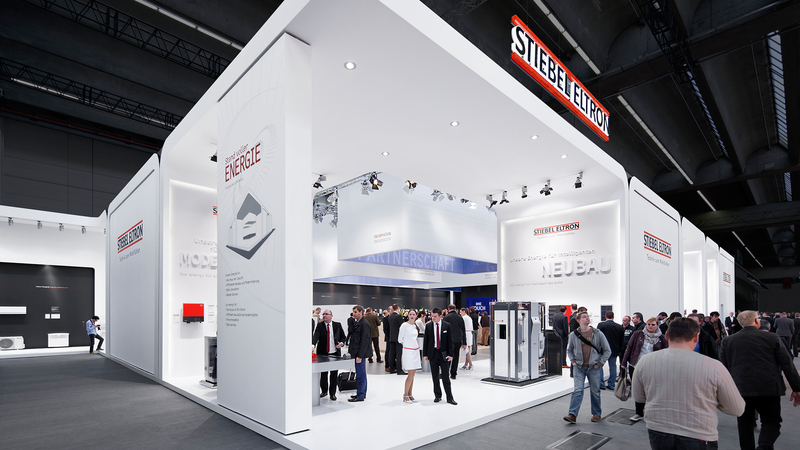 “A Stand full of Energy”– that is the motto of the Stiebel Eltron fair appearance 2015. It was the challenge of this year’s appearance to make this energy tangible to visitors and Dart reacted with a mediatectonically conceived architecture concept. 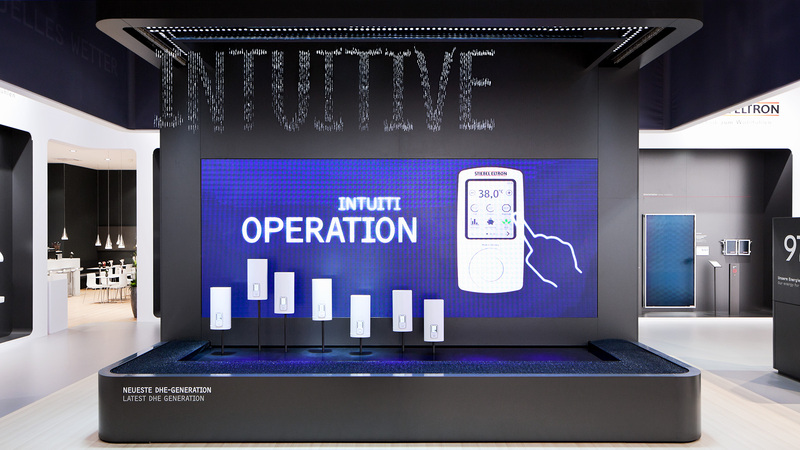 Five topic portals induce the dialogue with the trade visitors: Here, multi-media applications complemented by tri-dimensional wall illustrations formulate the product areas. The topics of the future are made tangible by means of topic islands in the stand’s core. 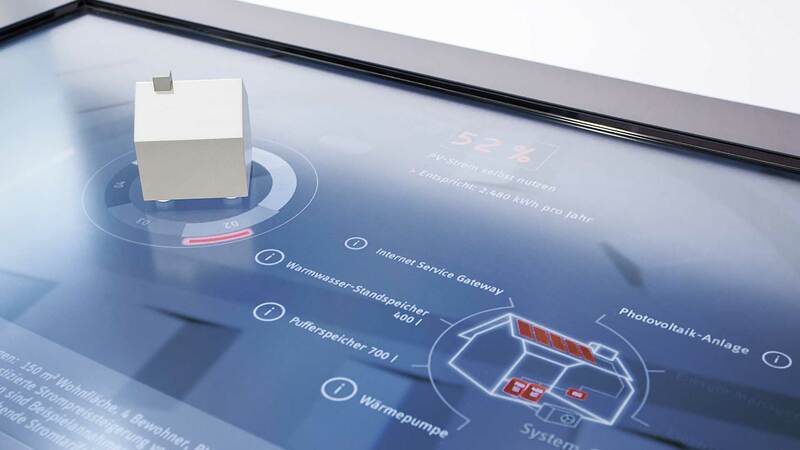 Interactive stations and arrangements present the Stiebel technologies with a focus on the experience factor. A Water Graphic installation arranges e.g. 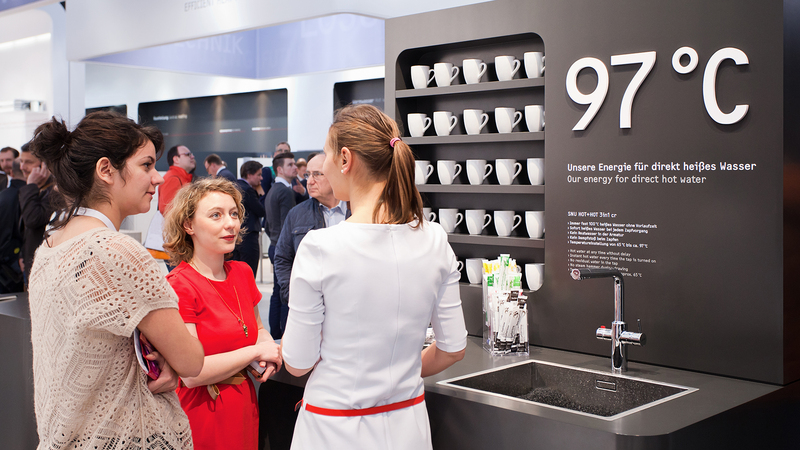 the new generation of electronic instantaneous water heaters: Water droplets draw the advantages of this high-technology product into the room and fascinate visitors with their choreography. Apart from the product arrangement, the new fair design also provided much space for the dialogue between experts. Huge wooden tables create the pleasant setting for conversations. 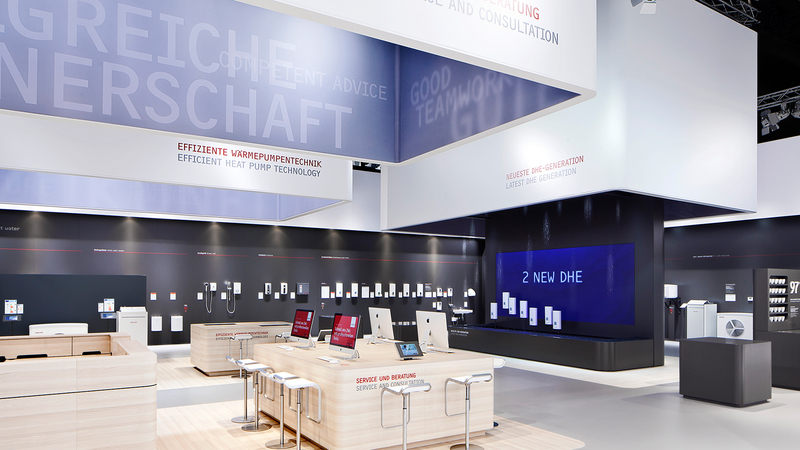 Media application tools for traders adds to this atmosphere, so that Stiebel could intensively talk to its partners with great proximity to reality and show its expertise as a partner company. "With our fair stand and our presentations we have once again left a sensational impression in our industry. And with our innovations and solutions we lived up to our image as a technology leader."